The Doctors discussed a dangerous new teenage trend attracting the attention of parents across the country. A seriously insane new trend is popping up online called the fire challenge, and it’s become popular among users on Facebook and YouTube. 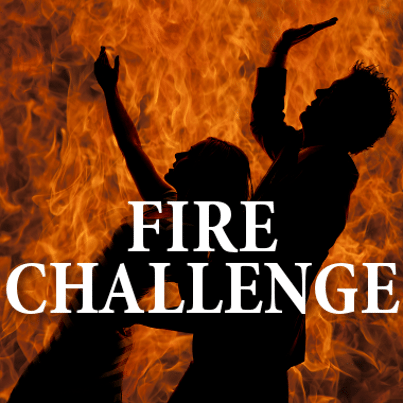 Participants in the challenge literally douse themselves in flammable liquid such as hand sanitizer, then light themselves on fire. One teenage boy who did the challenge while standing the shower began to panic as flames took over the entire front side of his torso. After he got rid of the flames, he showed the redness on his skin as well as the peeling skin on the side of his face as a result of burns from the challenge. He burned all the hair off his body as well, and then looked right into the camera and told people not to do the challenge. Dr. Drew Ordon said that as a burn surgeon, the footage made him sick to the stomach. Dr. Travis Stork pointed out how people in the videos are trying to pat out the fire with their hands, or fan the flames in order to try to get them to go away, but in reality, they were just adding more oxygen to the fire. Dr. Jim Sears shared that in one of the videos they shared, a mom of one of the participants actually filmed the video and then was arrested for endangerment. Dr. Stork said he was really happy that he grew up a generation ago because kids are kids, but seriously? Dr. Stork said now, kids are exposed to a dumb idea that someone on the other side of the country may have thought was a good idea, all thanks to the internet. The motivation behind all the stupidity is a viral video. It should go without saying, but please don’t put your lives in danger by trying to attempt this incredibly stupid challenge.